Get current information on classes! 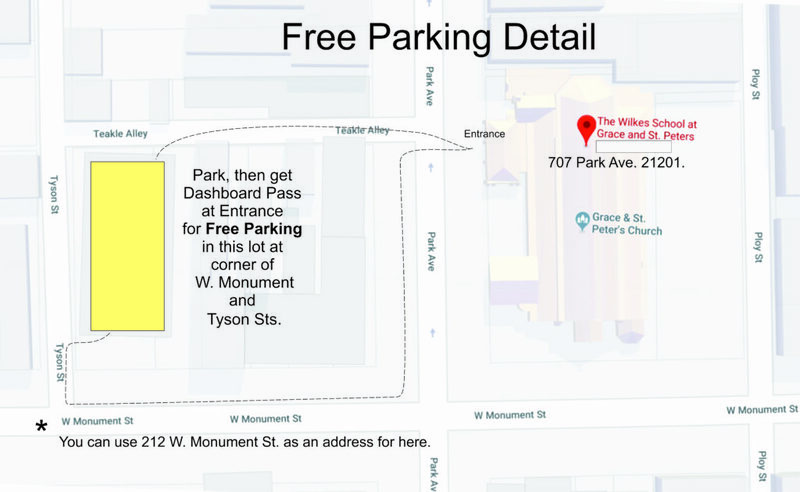 Free parking is available across the street from the school entrance! 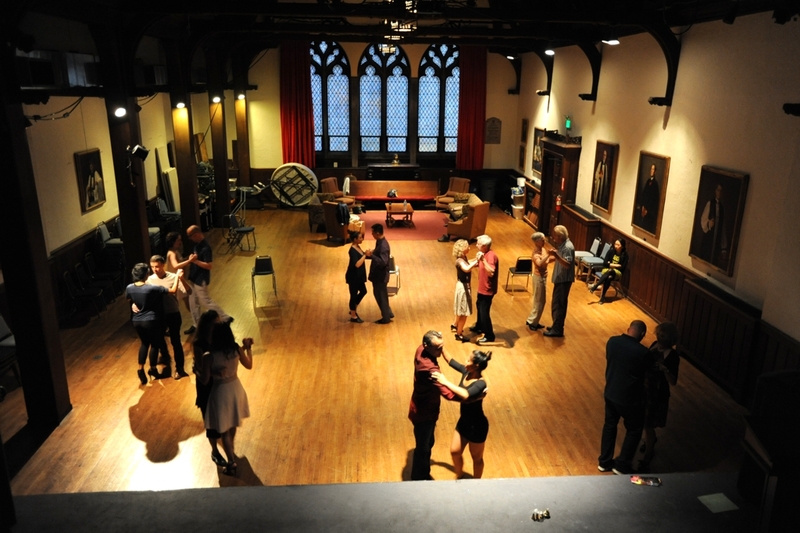 Fundamentals Tango is from 7 – 8 PM and Advanced Fundamentals is from 8 – 9 PM. All classes are progressive six week series. See below for more information. Classes are held Wednesdays at the Wilkes School at Grace and St. Peters, 707 Park Avenue, Baltimore, MD 21201 (Mt. Vernon area, see map). How do I begin to learn Argentine Tango with El Otro Beso? The first thing to do is to decide you’re going to put six weeks into having fun trying something completely different! Then click the button above or below to Preregister for the next Fundamentals A class! If you haven’t connected already, that will get you signed onto the weekly newsletter where you will get info on what you will be doing in class, what’s happening and what’s coming regarding tango in Baltimore. The Fundamentals A series will be immediately followed by a Fundamentals B series. After you’ve completed both A and B series you have a solid foundation for tango and can then take any or series including Adv. Fundamentals. Week 6: La Crusada (the cross) and how to tango worldwide! The curriculum for the Fundamentals B Series varies depending on class progression. Ok I love it! How do I get more? Once you’ve completed the A and B Fundamentals series, we know you’ve heard how it works and how to respect your partner and the other dancers on the floor. You are then welcome to attend any class at any time at whatever level you are comfortable with. Any class may be paid for by the class ($15, $12 student) or by the series. After that it’s all about practicing, adding to your tango and having FUN! The classes are rooted in the lead-response principles of Argentine tango. Previous experience with other dance or the tango is not required for the Fundamentals A series. You do not need to bring a partner for either type of class. In fact, at any level of the tango you will learn both faster and better by changing partners.. and we will encourage doing so regularly during the lessons. Class size may be limited on a first come first served basis and roughly role balanced. Roles are leader (traditionally male) and responder (traditionally female). If you are registering to learn a non-traditional role, no problem, simply include the role in the optional note available at registration. Dress casually for class but, after the second class, try to wear shoes with leather bottoms. Here’s why: Pivoting is common in the tango. You need a slight amount of traction to help you push off the floor when you dance. However, if you have too much traction it is more difficult to pivot. The torque it takes to make you pivot gets communicated to your joints (especially your knees). Tangueros wear a variety of different types of shoes.. but they all have leather bottoms of some sort.